23 Creative and Educational Toy Ideas in One Holiday Gift Guide! Are you looking for an educational toy for your grandchild that will actually keep his or her attention for longer than a week? I know I’m always on the lookout for ideas, so I’ve put together some of the toys I’ve come across this holiday season in this guide. The toys in this holiday gift guide will keep little hands busy while causing creative juices to flow! The links in this post are affiliate links. Which means if you click on the link and end up making a purchase, I get a small referral fee at no extra cost to you. It’s very much appreciated! I’m showcasing a few items here, but they have many, many more toys and educational resources and they’re available on Amazon. So if you’re a Prime member, you can take advantage of quick delivery and often free shipping! Encourage critical thinking and STEM skills with this fun, dynamic toy! This is another great creator of educational kids toys and this is only a small sampling of the many items that are available. These can also be found on Amazon. Set includes three oversized puppets on sticks, including Fez, Kai, and Lex, each measuring 12″ high! Rubberized puppets feature silly faces with movable mouths—simply pull the knob at the bottom to open and close! Perfect for puppet shows, story time, circle time, YouTube videos, family announcements, and more. A playful twist on traditional puppets, these non-electronic friends inspire creativity and imagination. Winner of countless toy awards including the Oppenheim Toy Portfolio Gold Toy Award, Parent’s Choice Recommended Award, ASTRA Best Toy of the Year, and more. Try a tricky new twist on word games with this two-level, triple-rhyming, family-friendly, card game for all ages! Listen to three clues – be the first to shout out three answers that rhyme and you win the round! Win 10 rounds and you win the game! Includes 600 questions – 1,800 rhyming words! – and 2 levels of play. Winner of the Oppenheim Toy Portfolio Best Toy Gold Seal Award. Raccoons have raided your closet and they’re having a party! Help these masked bandits get dressed—the critter that collects the most costumes wins! The perfect first game, helps preschoolers develop memory, color-matching, fine motor skills, and social skills like turn-taking. 2 games in 1! Spread cards out, face down to play a skill-building costume memory game! Winner: Oppenheim Toy Portfolio Gold Seal, National Parenting Publication Gold, National Parenting Center, and Family Fun Toys of the Year awards. A gliding, rolling, rattling, sensory-building friend. 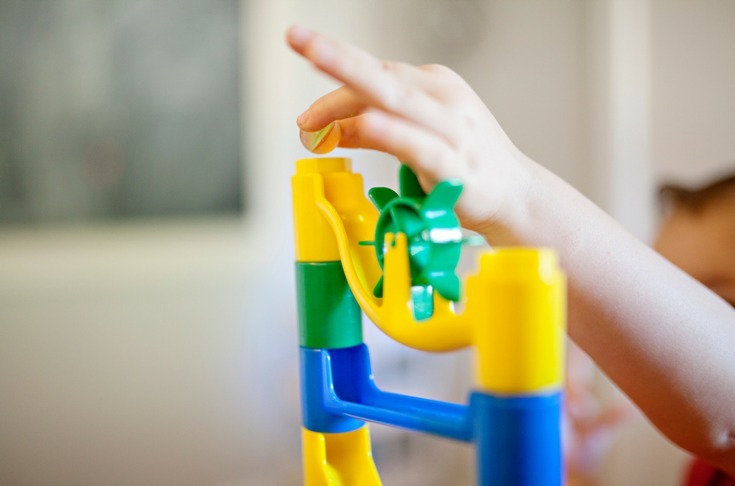 Encourages gross motor skills, tactile development, fine motor skills, imaginative play, audial development. Legos are always a good choice when looking for a toy that will entertain your grandchild over and over again. There are so many options available now, for ages ranging from 1 1/2 – 14. Here are some ideas, but there are many, many more sets available too. *This game is also available in a preschool version and 1st and 2nd grade version. I hope you were able to find something in these suggestions that will be the perfect gift for the perfect little someone in your life! Thank you Molly! I love to find toys that my grandchildren love to play with and learn at the same time. Thank you for reading and have a wonderful Christmas! So many great suggestions! Thank you! Thank you Michele. I have to admit I’m getting a pretty late start this year so I need to get organized and get started. I’ll be ordering some things from my list. Thank you for reading! Have a wonderful Christmas. Thank you for your wonderful recommendations! My grandsons love legos and art sets, my oldest granddaughter would enjoy the STEM sets, while the younger granddaughter would love the doll house. I’m happy to hear you enjoyed the recommendations! Have a wonderful Christmas! Hi Teresa! Great ideas for the grandchildren. My grandson just loves Duplo and I think he would love the Globe Puzzle and the Crocodile Hop. 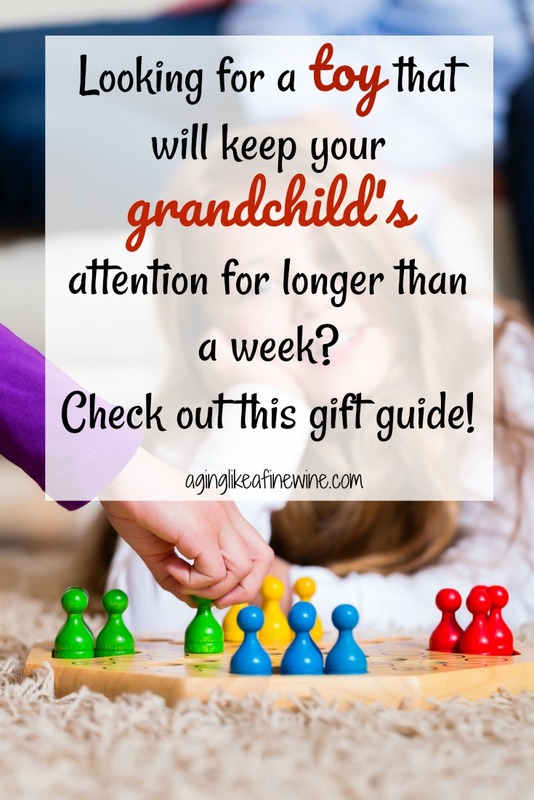 Thanks for sharing with us at #BloggingGrandmothersLinkParty. Have a great week! Thank you Sue. I’m planning on getting a few of these things to keep at my house for the grandkids. We need lots to keep us busy! Thank you for stopping by.